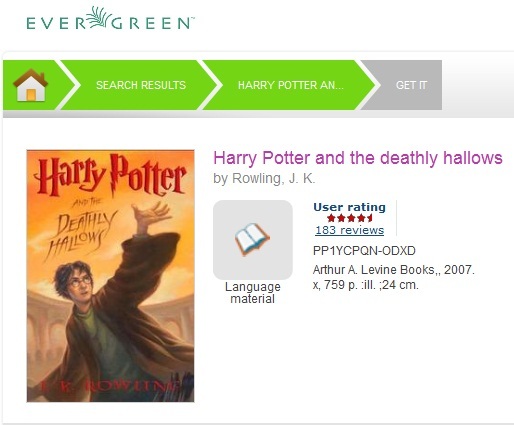 Third party content, such as reader reviews, can be viewed in the Kids OPAC. 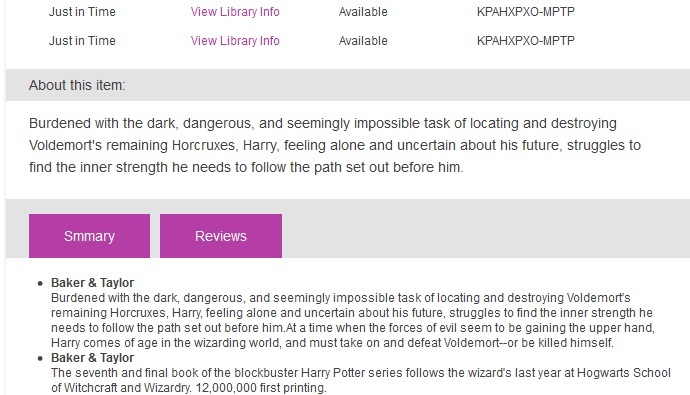 The reviews link appears adjacent to the brief information. Click the Reviews link to view reader reviews from a third party source. The reader reviews open beneath the brief information. 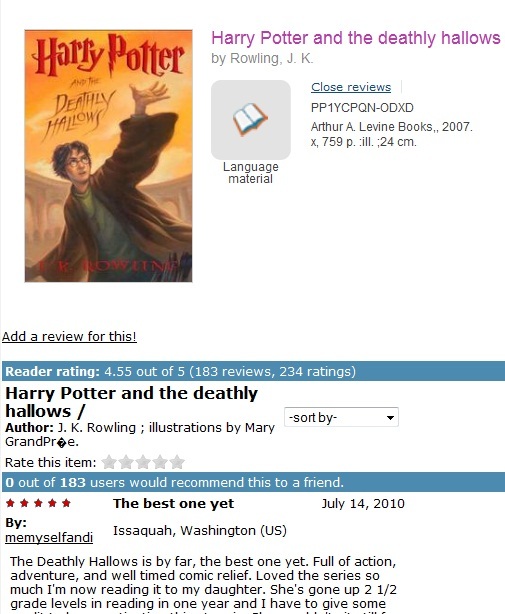 Summaries and reviews from other publications appear in separate tabs beneath the copy information.